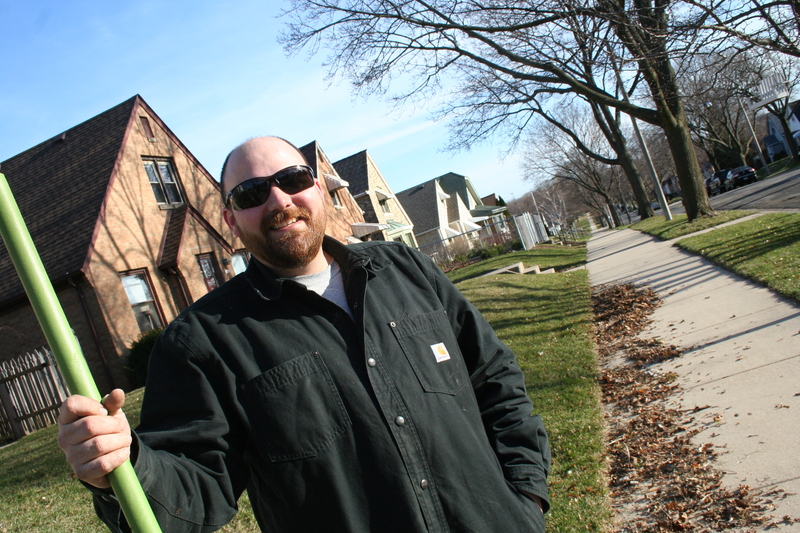 Matt Pizur diligently clears his yard of the last post-winter leaves on an unseasonably warm spring afternoon. As he stops for a break, Pizur leans on his rake, looking out past dark sunglasses. “I’ve learned that moderation is more than just a virtue — it’s something that you should seriously practice. You know, he always said, ‘Anything’s okay in moderation,’ but then he didn’t practice moderation himself,” Pizur says, referring to his late father. The youngest of two, Pizur says he and his sister, who was four years older, would argue often, though theirs wasn’t any more confrontational than other sibling relationship. But it was Matt’s relationship with his father that would have the biggest impact. While things worked out for Pizur, his father continued to get worse. “He kinda decided to stop caring, which is why he passed away,” Matt says. “You know, he was supposed to be doing dialysis and he wasn’t. He just kinda gave up, so I decided to sever ties. The course of Matt’s life took a turn for the better after some introspection and a dash of external inspiration. He says the decision was a mutual one, and one that wasn’t difficult. In fact, says Pizur, they’ve always “been inside of each other’s heads” to a certain extent. And, Matt says he loves “the whole package” of being a dad. “I mean, you know, just the unconditional love that you feel for them, and that they feel for you,” he says. These days, he’s good friends with his sister — they talk “all the time” he says. His mother lives about a ten minute drive away and comes by twice a week to spend time with the kids. It’s a here-and-now that isn’t half bad. As far as the future, and what he’s looking forward to, though, the jury’s still out.